Tai Chi focuses on slow, graceful movements and relaxed, meditative breathing. Traditional Tai Chi routines are designed for both health and subtle self-defense applications. 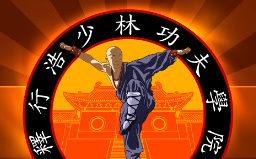 Our Academy instruction includes both bare-handed routines and tai chi sword routines. Tai Chi is a recognized form of meditation and is a well-known CAM health exercise regimen recognized to bring decreased aging and greater stability for seniors.